We often get new clients telling us that they want their Accountant to do more to help them grow their business. They may have had an accountant that did their financials and tax returns up to 9 months after the end of the financial year. At this point very little can ne done historically to help the business. 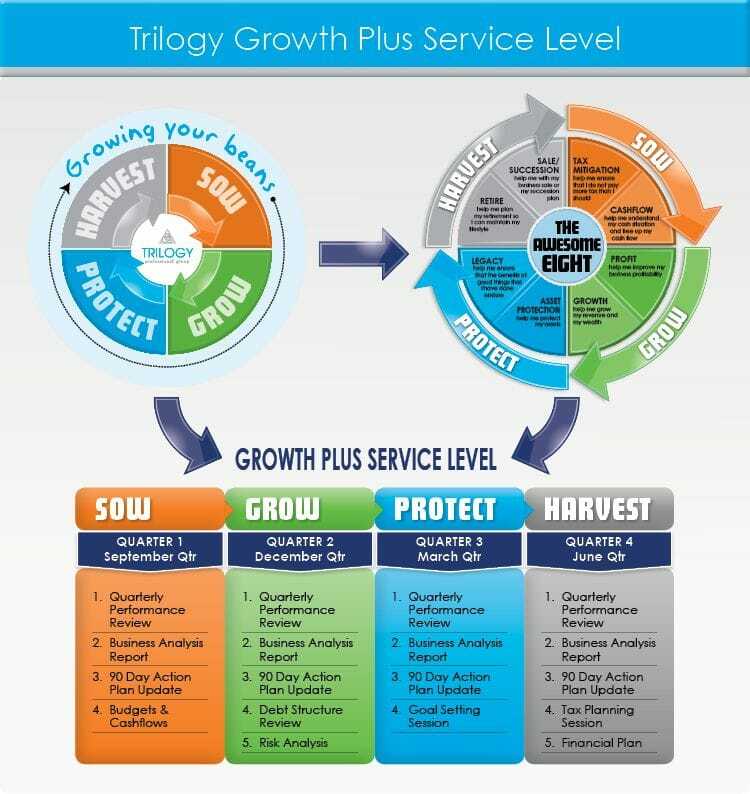 For these clients our Growth Plus Service Level is ideal to help them to monitor and grow their business, understand their financials and be able to make informed decisions based on them. It provides a great way to build your business and head towards success. We break it down into the 4 quarters during the year as noted above and use a 90 Day Action Plan for each quarter to focus on the key areas in each part of the business and the above additional areas.